A real estate investor for over 16+ years, Rob specializes in wholesaling, fix and flip and owner-financing with his specialty & focus on finding, structuring and operating long-term cash flow. If you’re struggling to get leads, if you’ve found it harder to beat your competition and you’re stuck not knowing what to do next, I encourage you to come on out and join me for this training. With the right strategies in place, you’ll never run out of leads again, you’ll spend less money and get higher quality leads that can make you more money…all because you’re armed with the right skills. The thing I learned years ago (and what nearly every other successful investor has learned) is that the quality of your leads is WAY more important than the quantity. …but, if you can get both…you win. That’s what Freedom Club Denver is all about this month. 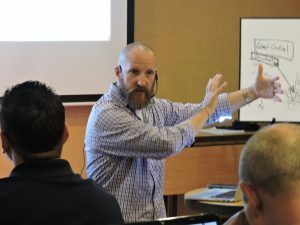 The case studies you’ll see at Freedom Club are real world examples that will have you walking away with a plan you can use to get more, high quality leads. These are just a few of the topics we'll dive in and answer so you walk away with a clear plan of action. So join us Tuesday evening (April 11, 2017) at Freedom Club Denver for a content rich night of networking, learning and moving yourself one step closer to financial freedom. Registration starts at 6:30 pm. Doors open at 7:00 pm. You can always attend Freedom Club monthly meetings for FREE. All we ask is that you RSVP so we know you're coming. Freedom Club is a local real estate investing club created to help YOU achieve financial freedom through real estate investing. We do it through Networking, Education and Immersion. 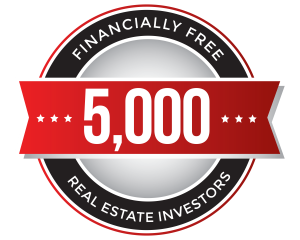 Everything we do and teach at Freedom Club strives toward one CORE MISSION: To help 5,000 people become financially free through real estate investing.